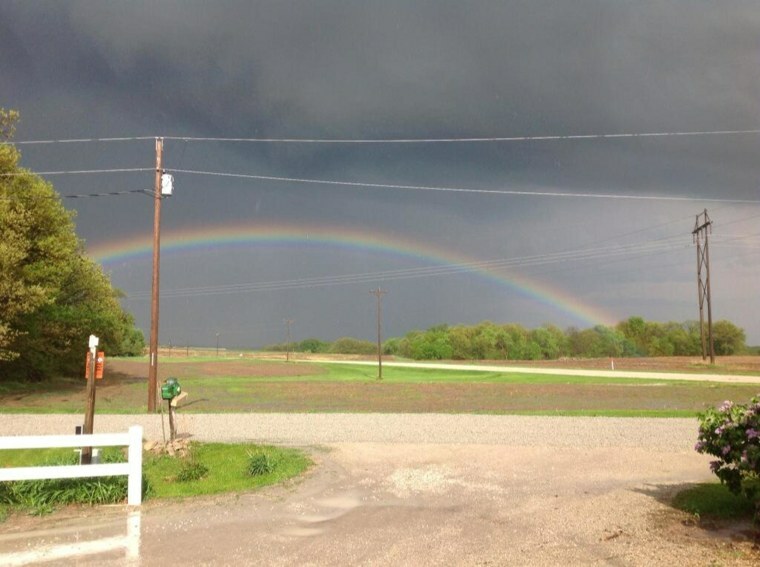 As a severe storm system swept across the Plains on Sunday, a rainbow stretched across the sky near a looming funnel cloud in Iowa. Erica Weirich captured the photos below of a funnel cloud north of Donnellson, Iowa. A tornado was spotted near Sutton, Neb.